How to pay for your actual LUGGAGE weight…. 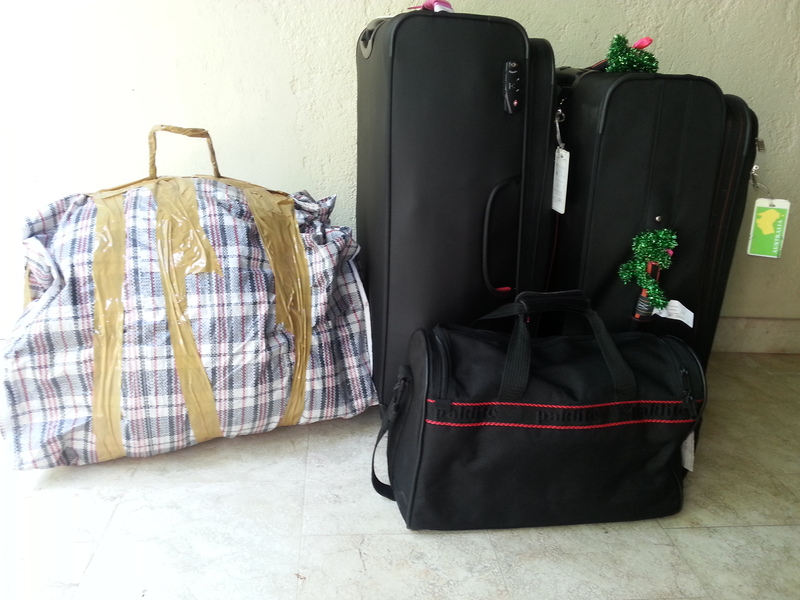 After numerous trips, I have learnt to pack light. 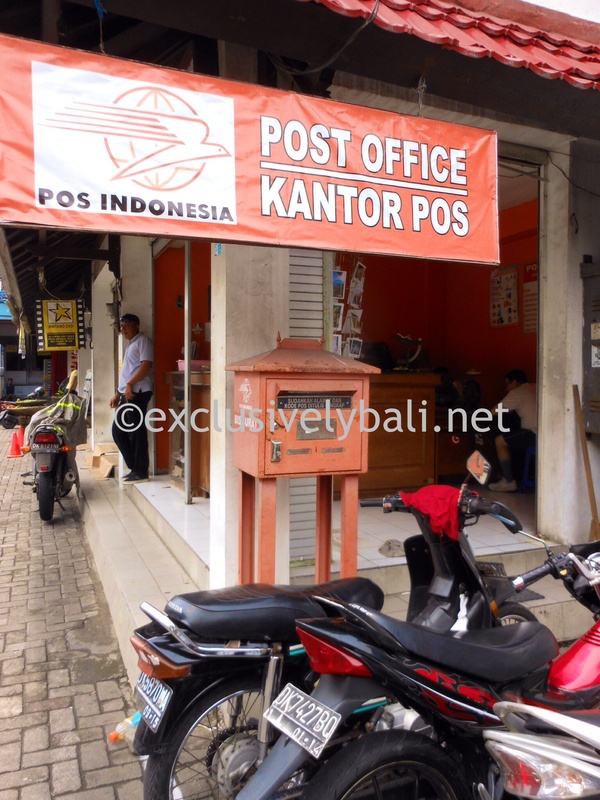 Unfortunately, this hasn’t t helped me reduce my Bali shopping whilst on the Island! Apart from filling your own 40 foot container to get your goods home (I’ve done this!) or paying for someone else for space in their container (I’ve done this too! ), it is often useful to use a packing trick. One handy tip I continually fall back on is to take with you at least 2 large, striped/checked shopping bags that you can purchase at “discount/bargain” shops in Australia for approximately $2.00. I place soft goods that are unbreakable, like clothing or manchester inside these. I then place wide, strong tape around the stripey bag, both horizontally and vertically. Also, tape the handles together to become one handle, for strength! Make sure you label the exterior. These stripey $2 bags weigh nothing. You’re therefore only paying for the weight of your goods, not the piece of luggage. 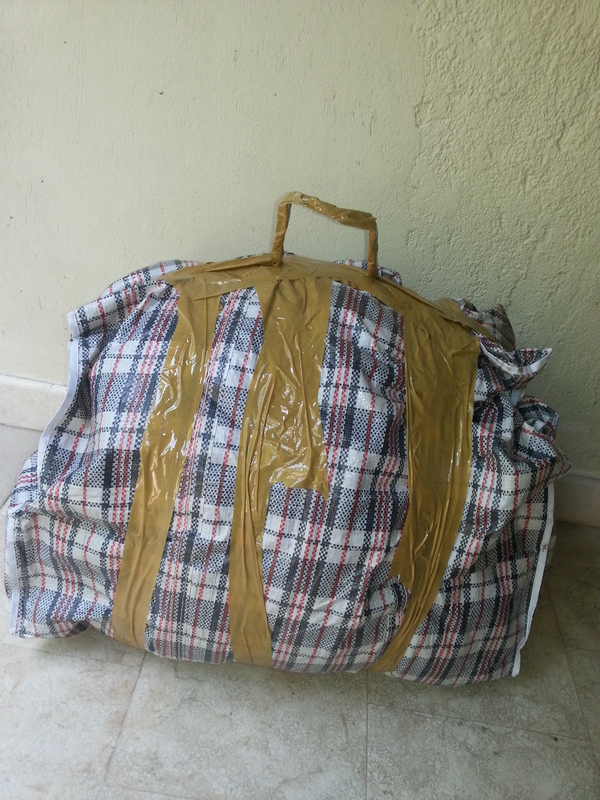 The bags are also strong – as evidenced recently when one of mine went missing on a flight from Bali to Australia. Amazingly, it took 32 days before the stripey bag was delivered to my door. The bag was all intact and had apparently traveled via Jakarta and Singapore! It’s certainly not the most stylish piece of luggage, but I swear by them! # Be aware that some airlines now only allow one bag to be checked in regardless of combined weight of bags. Do check this before introducing a 2nd bag! 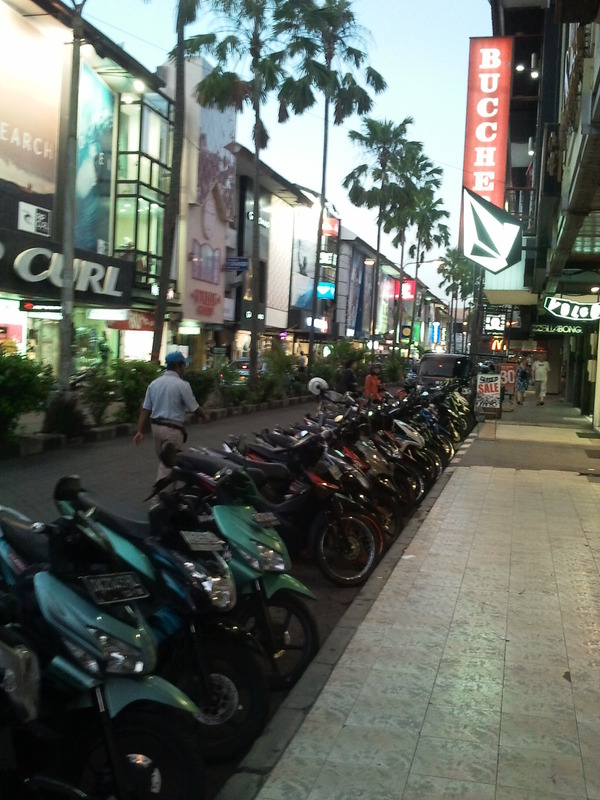 If you’re a little “over” bartering at market stalls, head to Kuta Square for no effort shopping. 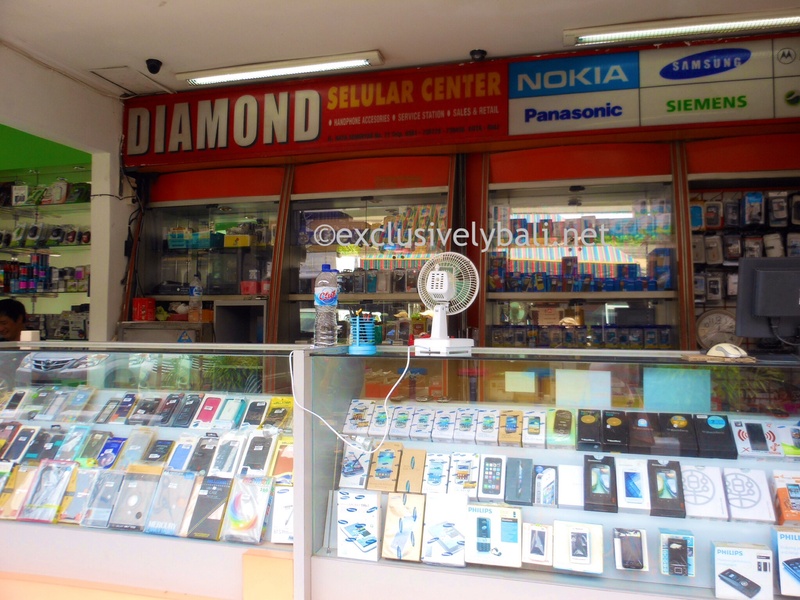 Here you will find a variety of shops including jewellery, shoes, sports and clothing stores with fixed prices. Although fixed, prices are still very reasonable and allow for a wonderfully relaxed shopping experience. Matahari Department store is located in this precinct too. 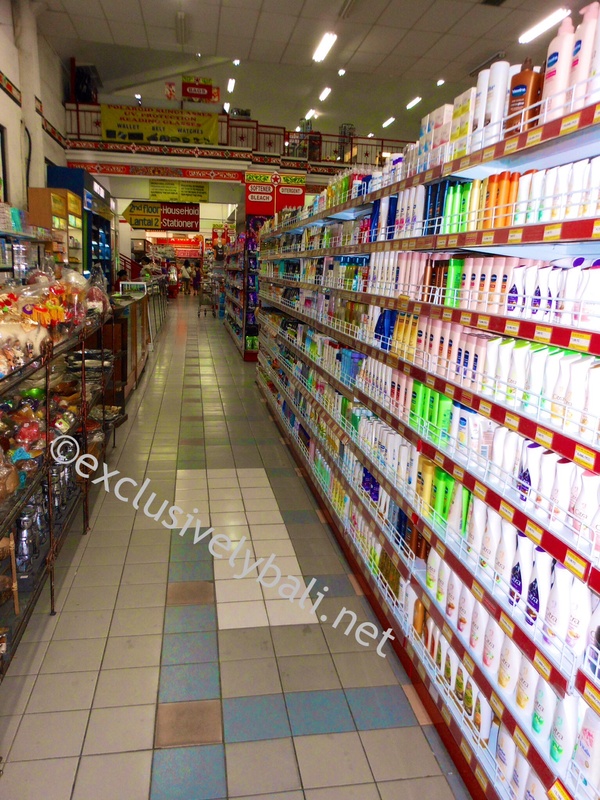 With air-conditioning and fixed prices, it’s a shoppers dream! It covers several levels and sells almost everything. 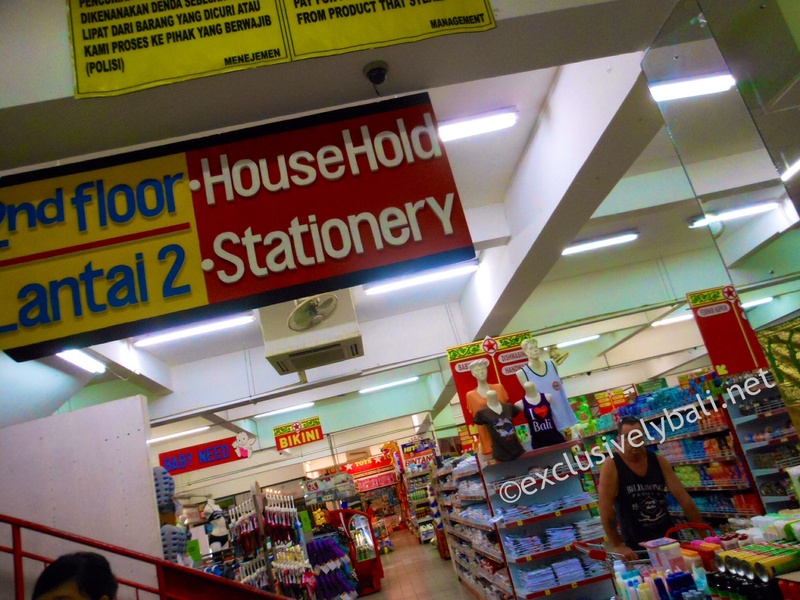 Don’t forget to take advantage of the supermarket and reputable Money Changer on the ground floor also! If you’ve worked up an appetite whilst shopping, there are several restaurants situated in this locale. You’ll also find standard takeaway staples, McDonalds and KFC here too. 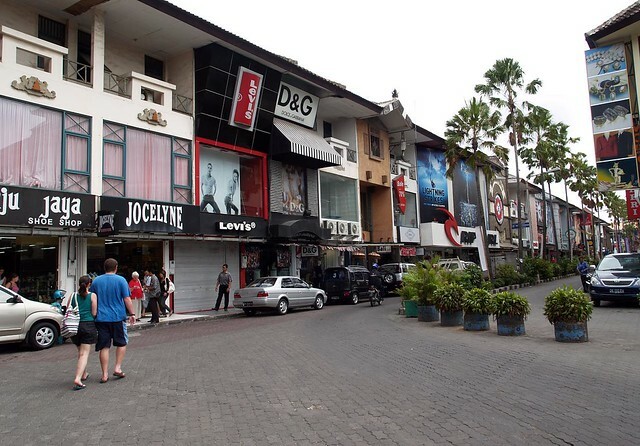 With Kuta Square on the doorstep to Kuta Art Markets, it’s too good a stress-free shopping destination to pass up. 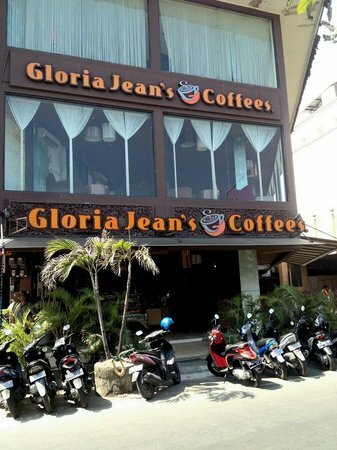 HINT: Drop hubby off at Gloria Jeans whilst you shop til you drop. They sell decent coffee here and delish iced coffee too. 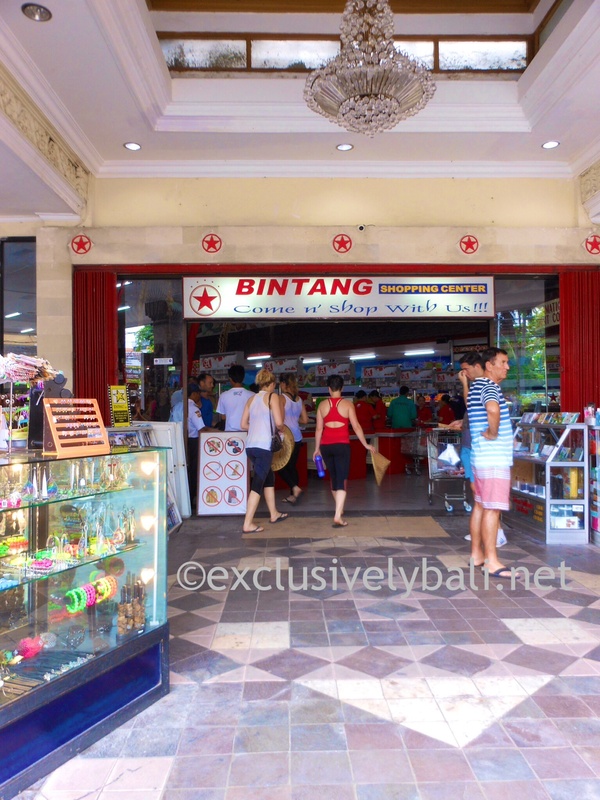 There’s also free wi-fi and he can chill in air-conditioning as you take advantage of the shopping bargains throughout Kuta Square. 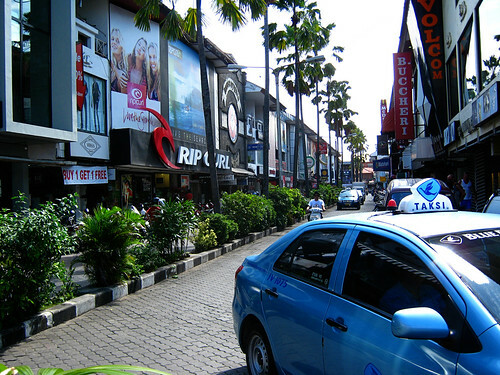 Bluebird taxis’s are plentiful in this part of busy Kuta so there will be no problem in getting your shopping back to your hotel or villa once you have had enough. Take an unlocked phone & install an inexpensive Bali sim card – then install emergency numbers. 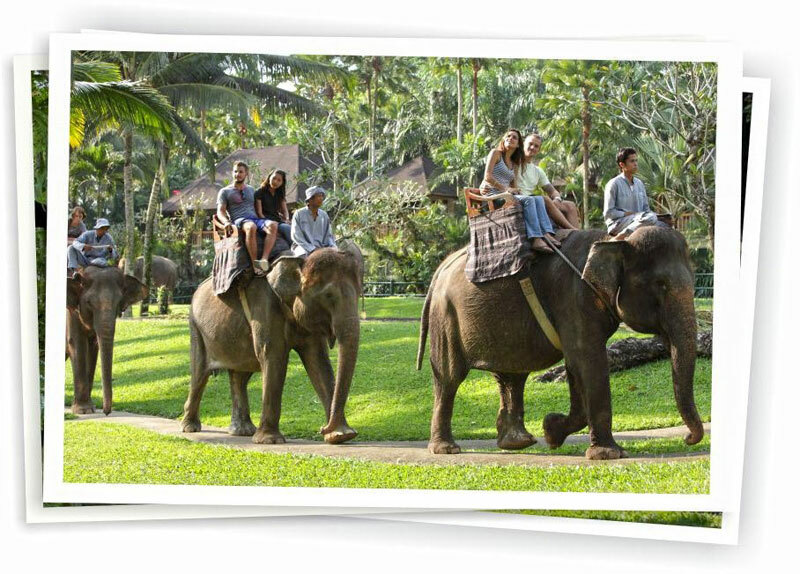 It is easy to keep yourself and your children fully engaged at the wonderfully maintained and well presented Bali Marine & Safari Park. It is a day full of photo opportunities too: a picture at every turn! 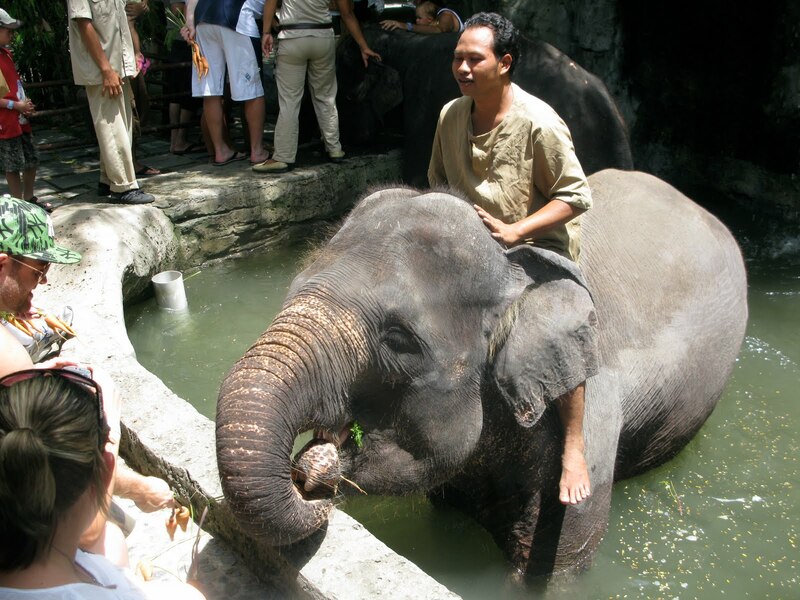 Tourists can enjoy a variety of performances as well as having the opportunity to ride and hand feed the elephants, take photos with them and learn of their ancestry and diversity at the parks historical and graphic displays. The aquarium is crystal clear with lots of fabulously attractive fish – and some pretty unattractive ones too! 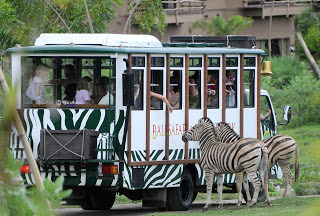 Air-conditioned safari buses tour through the park leaving every 15minutues. 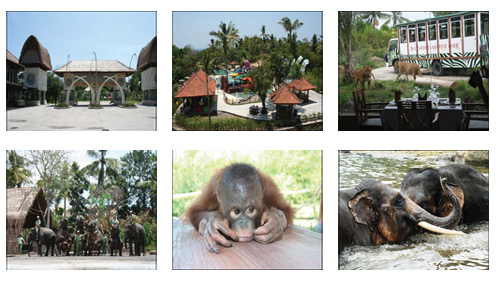 This allows you to be up close and personal to most of the animals. 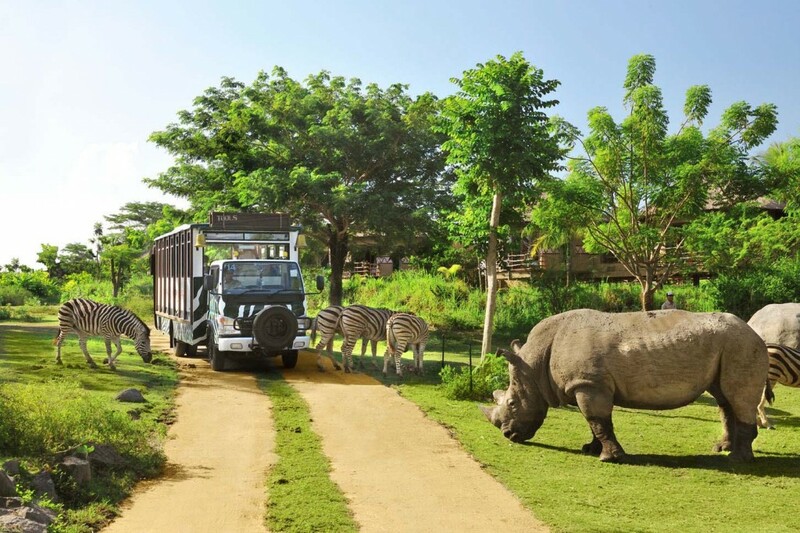 You will be but a few feet from lions, hippo’s, rhino’s, zebra’s, cheetahs and more! If you wish to stay overnight, you are able to stay at the Mara River Safari Lodge. In the evening, visitors can see wildlife roaming in their habitat. 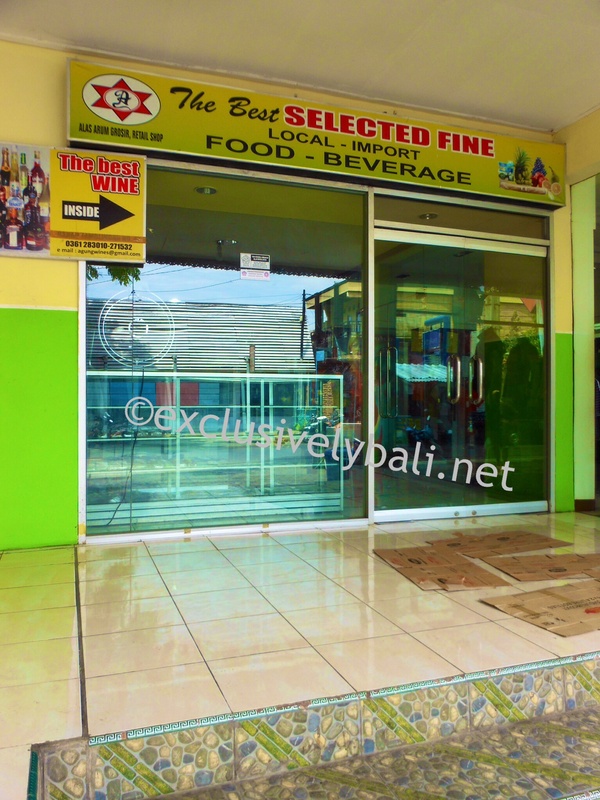 There is also a restaurant which serves a range of food and beverages. 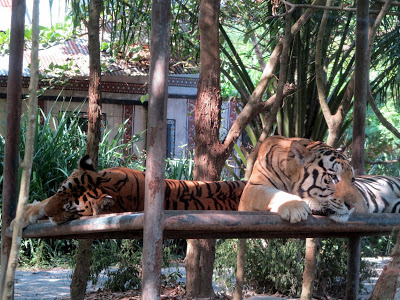 Besides being an attractive tourist destination, Bali Safari Marine Park is also used as a breeding place for endangered animals, including the white tiger. When you need to cool off, the water park is an absolute hit with the kids. It has shallow play pools with spurting water, slides and big buckets so there is plenty of fun for older kids and adults too. I can highly recommend a visit to this Park. 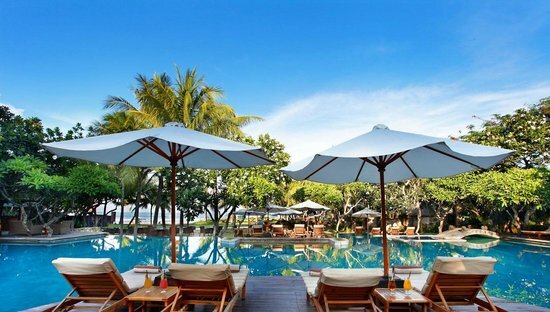 Book a tour or arrange a driver to take you as it’s an approximate 2 hour drive from the southern resorts of Bali. HINT: Don’t forget your hats and sunscreen. Try to get there early as there is a lot to see.